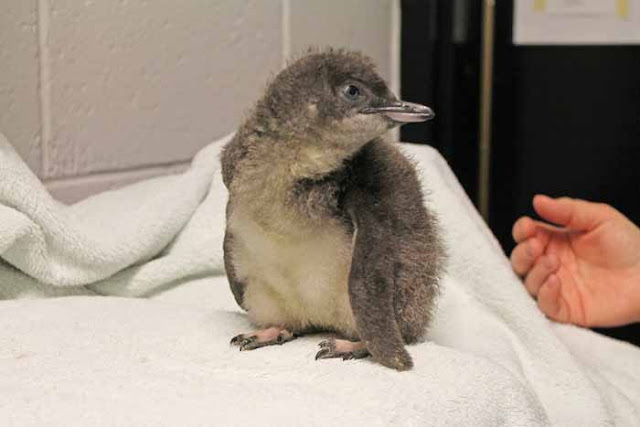 The Aquarium participates in a Species Survival Plan for our penguins. Right now is little blue penguin breeding season. Over the coming weeks we'll share behind-the-scenes pictures and details about what it takes to raise penguins chicks on Central Wharf. Most of the little blue penguins are visible in a temporary exhibit right now. But all penguins—including the rockhopper and African penguins—return this week. The New Aquarium Experience starts July 1. As you may have read in a previous post our little blue penguin colony just got a little bigger. 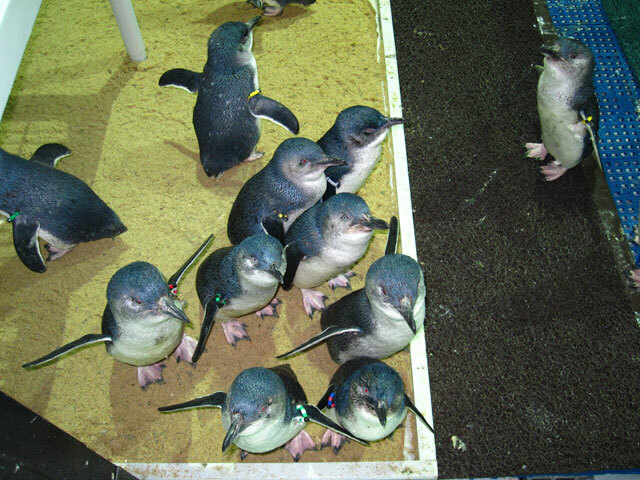 Last summer we obtained 14 little blue penguins from the Taronga Zoo in Australia. In addition to increasing the number of individual penguins, these additional penguins will also help increase the genetic diversity of our colony. which of these lucky birds will be our breeding pairs. If you have followed our blog you have read about some of our more recent successful African penguin breeding seasons. 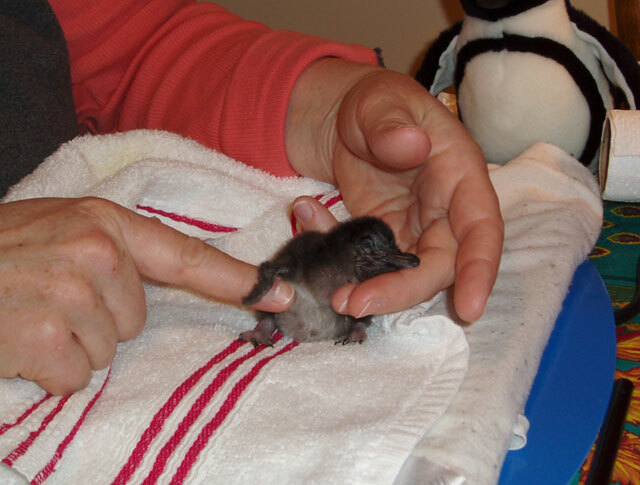 You may also remember the story of Lion, a little blue penguin that we had to hand raise as a tiny chick. We have a lot of experience under our belts, (over 40 years to be exact!!) and we are ready for another breeding season. We are keeping our fingers crossed that the new pairs hit it off and we have another successful year. Here are some of the results of our more recent breeding seasons. If you are new to our blog, welcome! And learn about past breeding adventures HERE. 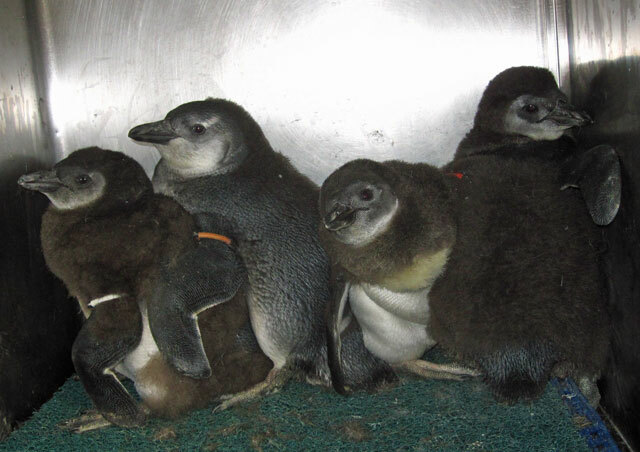 Stay tuned to the blog for little blue penguin breeding updates.